In tournament poker it’s important to know when it’s time to make a move. There’s a temptation, whether you are playing live or if you prefer to play poker online, to sit and wait for good hands when you’re playing in a tournament, but that can lead to an ever decreasing stack which will leave you with virtually no chance of winning. Indeed, any time you let your stack fall below a certain level you’re asking for lady luck to scoop you up in her arms and help you out. Relying on luck is obviously a recipe for disaster in poker because the majority of the time things won’t go your way. So when should you take the initiative and not put yourself at the mercy of fate? In tournament poker the accepted time to start worrying about your stack size is when it starts to near the 10bb mark. Indeed, when you have 10bb this is the last point in which you have any real fold equity. In basic terms this means that if you have a stack with fewer than 10bbs you can’t put enough pressure on your opponent to make them fold. Thus, whenever you’re in a tournament your aim should be to never reach the sacred 10bb mark. To stop this from happening you should be looking to re-raise all-in whenever your stack is between 15-25bbs. Thus, when an opponent makes a pre-flop raise you should be willing to go over the top of them when your stack is within this range. Doing this will allow you to gradually regain some chips and avoid the dreaded danger zone. If, however, you can’t stop yourself from falling close to the 10bb mark then your plan should be to move all-in at any opportunity. If a player raises before you then only move in with hands you don’t mind being called with. 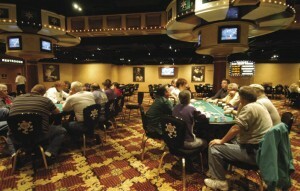 In contrast, if the action folds to you then move all-in with a wide range of hands. As long as you have over 10bb you should have enough chips to make most players fold. In tournament poker you need to watch your stack carefully and move when the time is right. Get it wrong and you’ll lose any momentum you might have had and need luck to give you a helping hand. Although Topboss Blog is mainly a gambling blog – sometimes we feel the need to try something different – so in March 2012 some of the Topboss staff decided to venture out on a Tiger Moth flight. What an experience that was. The Tiger Moth in question is a bright yellow, 1940 Tiger Moth ZS-OSS1941 called “Tweety” who was quite an active little plane during WWII. 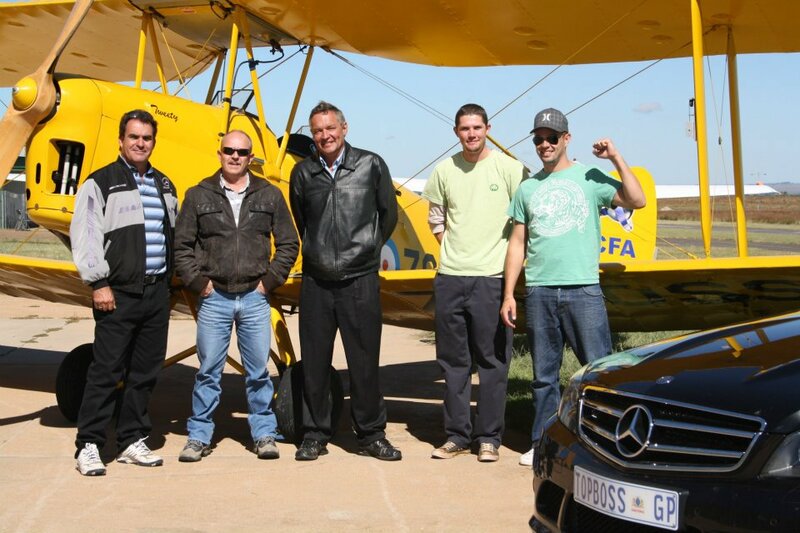 We all had to be up at 5am to be at the Jack Tayler Airfield in Krugersdorp by 6:30. It turned out to be quite a misty morning and visibility was very poor on the drive there, but it was a spectacular scene from the cockpit of the Tiger Moth. We each had our 30 minutes in the air with “Tweety” and her masterful pilot Martiens Steyn, who gave us interesting information during the flight about the Cradle of Humankind, the majestic Magalies Mountain Range and game that we flew over. In between the flights, Peter who is Martiens’ son made sure we were safe at all times while standing next to the runway. Peter was also very helpful in answering all sorts of questions we had about the Tiger Moth. We learned that she was used by trainee pilots in WWII who were training to become Spitfire and other fighter pilots. Flying in this little plane gave us a sense of what it must have been like back then, and you can’t help but stand in awe of her. All in all it was an awesome experience and definitely worth doing again. Flights are from the Jack Tayler Airfield, Krugersdorp, over the Cradle of Humankind and the majestic Magalies Mountain range with game viewing included! The flight is weather dependent, therefore flights are normally early Saturday or Sunday mornings, but can also be accommodated during weekdays. Prices are from R1750.00 per person per half hour. For group bookings, there is a discount available. Why Choose No Deposit Sportsbook Bonus? The online betting market is very competitive and this is why many sportsbooks use different Bonuses to attract as many new players as possible. The No Deposit Bonus is one of the most interesting promotions a player you can get at sportsbooks. It awards players with a certain amount of free cash for placing bets without any deposits. The No Deposit sportsbook allows players to try online betting with free cash. This enables gamblers to relax while playing their favourite games without losing any money. First time players on online sportsbooks, need to try out different tactics, betting styles, odds and other sports betting options. The No Deposit Bonuses usually have to be played through several times. How to Get No Deposit Bonus at Sportsbook? Players should visit several betting sites with reviews of no deposit sportsbook bonus before choosing a reputable site they would like to try out. Players must then register an account to claim their Bonus. 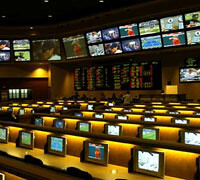 Usually, the free cash is claimed from customer support, but some sportsbooks award it automatically after registration. There are several types of No Deposit Bonuses at sportsbooks and these Bonuses are awarded in the form of free bets, but there are some differences. The Bonus will only be awarded for a certain sport, which is what players must look out for when choosing the sportsbook although players may use free bets anyway they like with any sport and market. Betting sites also offer players different amounts of free bets, which usually start with the lowest limit of $25. 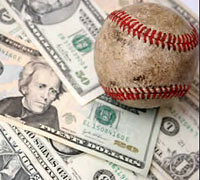 Sportsbooks reward players with free cash within botha a limited time, and an unlimited time. Limited time means that players have to meet the wagering requirements within a certain amount of time, and an unlimited time, means that players can take their time when using the free bets. There are also two types of No Deposit sportsbook Bonuses. The first takes the initial promo sum back, and sportsbooks will credit all their winnings that were won over the initial Bonus amount into their account. The second Bonus type doesn’t take it back at all, but awards players with both free bets and all their winnings.